Hand sanitiser is something that I use on a daily basis, it's pretty essential when working in retail. Over time, my hands began to dry out as I was buying large bottles of cheap antibacterial gel without looking at the ingredients. A few months ago, I decided to try The Body Shop's offering. 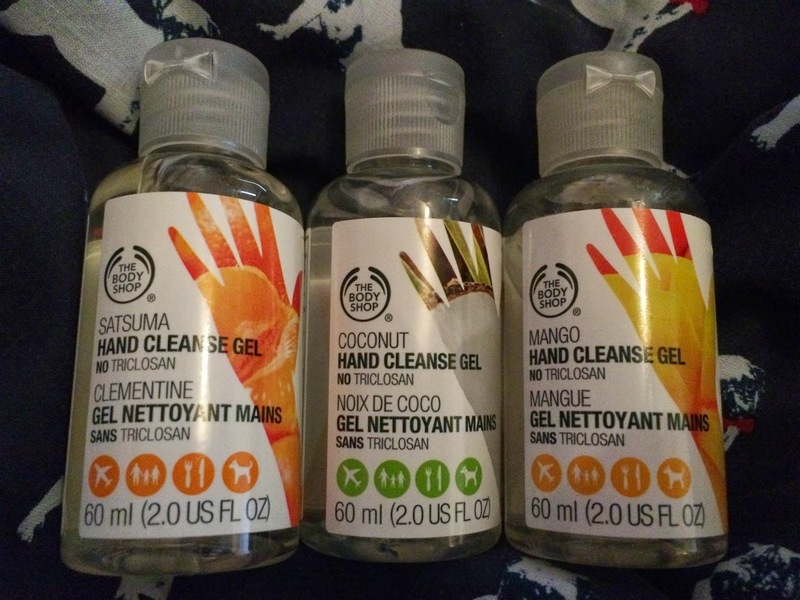 I am pleased to say that I am really impressed with their Hand Cleanse Gel range! I usually use either Satsuma or Coconut - the scents are amazing. I go through them like craaaazy! As well as smelling great, they contain conditioning ingredients such as castor oil which means that they don't dry the skin out. There is no triclosan in these as well, so they are a lot less harsh than other hand sanitisers you can buy. I really recommend these. They smell absolutely gorgeous and haven't dried my hands out at all. I love The Body Shop too because they're against animal testing and they also support free trade. What's not to love here?